It’s that time of year again. 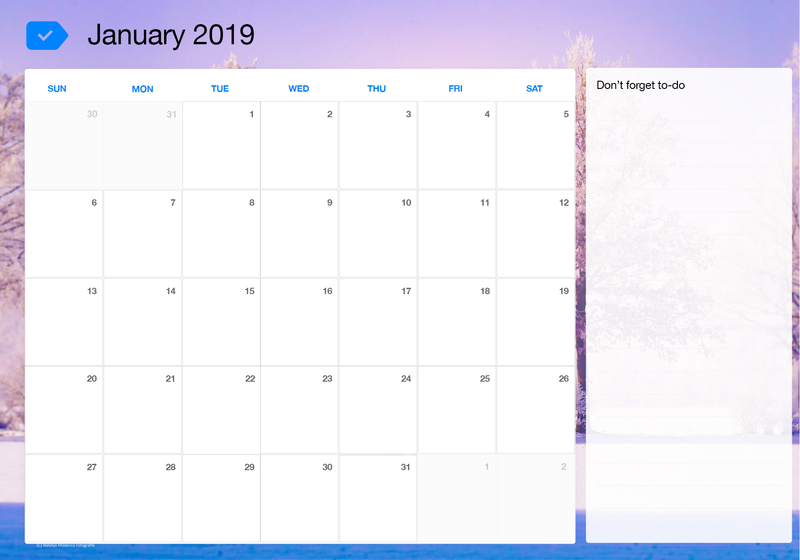 2018 is coming to a close and people are creating their to-do lists for 2019. It’s an exciting time, with everyone’s hopes up high for the upcoming changes the new year will bring to their lives. Realistically though, New Year’s resolutions rarely hold any weight. 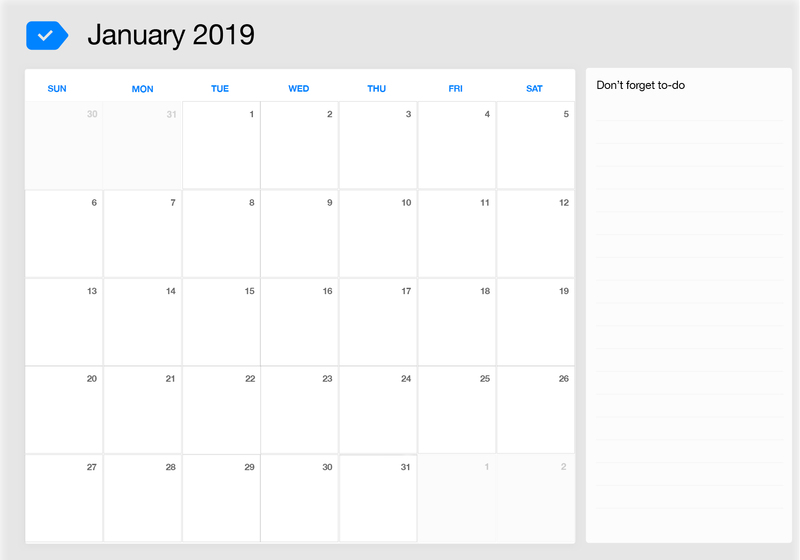 In fact, according to Business Insider 80% of them fail by the second week of February. When researching why, it was found that the the main problem lies with the internal battle between doing what you want to do, and what you should do. As much as we want to believe that setting goals is all we need to reach them, we need to accept the fact that without concrete plans, our chances of avoiding being part of the statistics are slim. Fortunately, settings plans with Any.do is as easy as it gets. 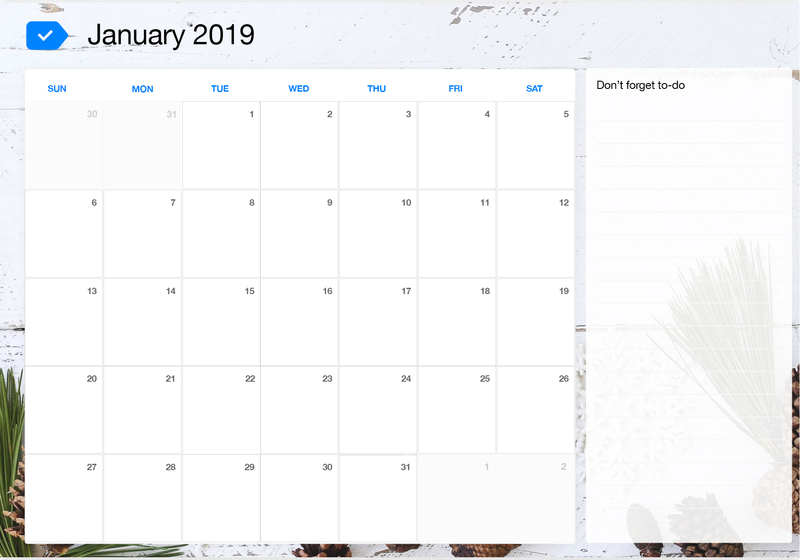 With this free January 2019 printable calendar template, you can write all of the things you wish to achieve from the beginning, start 2019 strong with getting things done and never forget a thing.